When you think about heart rate, you might be thinking about someone doing cardio – treadmills and beeps. In reality, there’s a lot to heart rate that you might have missed. There are important overlaps between heart rate and performance in strength training that mean a better rate can improve strength. Read on, because today we’ll be taking you through the two biggest ways that heart rate and heart rate variability impact strength training! What do you already know about heart rate? You probably know that an elevated heart rate is a risk for heart attack, stroke, and other common causes of death. You might even be working on your endurance exercise to keep your heart healthy and make sure that everything from sexual health to mental health are up to scratch. Lowering your resting heart rate decreases the strain you’re putting on the love muscle, helping you to live a longer and healthier life. Strength training isn’t often discussed for the benefits to the heart, or the other way around – how the heart can benefit strength. It’s a two-way system. Resistance-trained people are healthier and have a better tolerance for blood pressure without the negative effects. The heart undergoes some serious stress during strength training but its only short-term. Additionally, your arteries become more flexible and reduce your risk of clogs, clots, and other serious conditions. The key benefit we’re going to discuss today is how the variability of your heart rate – the range it can go through – is key to strength training. You’ll mainly notice this between sets. The ability to get back to resting heart rate between sets is key to improving your recovery – a key factor in keeping your performance up over long workouts. This is the kind of recovery and performance that many people ignore, since it doesn’t increase your maximum performance right now. However, it helps you accumulate more volume over time which is a direct cause of building strength and muscle mass. You’ll also want to control your heart rate through psychological methods too. This is one of the ways that your choice of music when training can make a big difference. Psychological arousal is all about how hyped up you are – controlling this is a key way to adjust how heavy weights feel and help push yourself. However, for the recovery we mentioned above its equally important to bring psychological arousal – and your heart rate – down after intense training. Again, music can be a great choice here, and the music that you use to hype-up between sets isn’t appropriate continuously. Too much psychological arousal, or a chronically elevated heart rate, are bad for both training and health. That’s why it’s good to find the right tempo playlist for pre and post workout and of course for the workout itself. Learning to switch on and off when you need to is a great way to develop yourself as an athlete and bring about the best results with the most sustainable, healthy methods. Heart rate and arousability aren’t just about when you’re in the gym, however. What you’ll find is that intense exercise will keep you in an elevated state of anxiety for a while after finishing. This keeps your heart rate up and places additional stress on your heart if you don’t balance it out. This is clear from the relation we see between other forms of stress and the risk of heart problems. Any chronic increase in anxiety and heart rate can negatively effect your health, so it’s a significant matter. Balancing your stress levels out after a training session is one of the ways you can reduce the chronic loading of your heart. This also helps with your exercise recovery and the development of strength. Improving your return to a resting, restorative heart rate and psychological state can improve your session-to-session progress. Heart rate and relaxation methods – from low-BPM music to meditation to yoga – can all aid in this balancing act. The benefits of proper heart rate and anxiety management for training is a huge deal. If you’re planning on pushing yourself to new personal bests – and recovering so that you can keep doing it – you need to consider the physical and psychological impacts. Fortunately, you can manage these changes in both the short and long-term. Developing good habits and being aware of how and handling the stress levels is easy with practice and the right tools. How do you improve your heart rate – and variability – without losing all your strength? This is a question we hear a lot, since a lot of strength enthusiasts see endurance and strength as exact opposites. Obviously, if you’re doing ultra-marathons you’ll struggle to keep the meat on your body – it’s easy to lose muscle. However, endurance and cardio training don’t have to be long-haul, and you can use them to improve your strength performance. To start with, you actually need to track your heart rate. You can’t set and achieve goals if you can’t measure the changes. This is why you probably want a heart rate monitor – so you can see if you’re getting better! You won’t need to use this for all your sets and we recommend avoiding it for top-sets. Use it for warm ups and some of the lighter weights to see how you respond. Make a quick note of them and compare from session to session. A weekly average is probably your best bet, since everything from sleep to stress can change your heart rate. How Should You Train Your Heart for Strength Training? HIIT is the best way to do this. There are a lot of myths around HIIT – like the idea that it’s “better” than normal cardio, or that it burns more calories – but neither of those matter. The important part is that HIIT allows you to focus on high-power, intense exercise. This assists with your heart rate variability while also helping you focus on explosive strength. This is also specific to the kind of heart rate improvements you need: the ability to produce huge efforts and then recover quickly. If you combine these types of exercises into high-intensity circuits (using things like Tabata), you can make big differences in a way that helps your strength training, rather than harming it. This is also great since it helps you cover muscle groups you might not focus on in training and can help prevent injury. As with the rest of your training, you should be putting some thought into how you improve your heart rate for strength training. Too much work in long-haul endurance can lead to slow-twitch adaptation. This can be a problem for strength, so you should aim to implement these lessons in your own training. Heart rate isn’t the most glamorous way to improve in strength training – it’s not a good as a big bench press or huge squat – but you’ll be setting yourself up for those changes with a healthier, stronger heart. Cardiovascular health and training don’t have to compete with your strength training. Aside from the health benefits, these kinds of changes to your heart rate and efficiency can support better recovery and handling more volume. Controlling and improving your heart rate are the two factors you need to consider and work on. 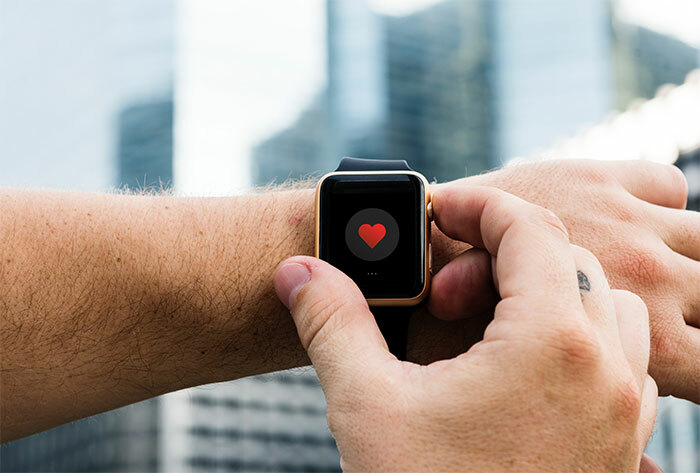 Controlling your heart rate comes with psychological methods – from music to active relaxation – while improving it for the long-term is all about training smart. Use these tips to add some high-quality, explosive HIIT to your training. You’ll find that your strength goes up, you cover some of the most under-rated areas of training, and you have the best chance for overall progress! Joe Bailey is the Wizard of Lightbulb Moments at GetSongBpm. He’s recently developed a heart rate calculator to help people find their target heart rate simply by tapping their screen. When he’s not behind his own screen he’s in front of the crowds in the UK running 5km and 10km events and cross-training regularly. Burning calories is how you burn fat. The rate you burn these fat producing calories is directly proportional to how intense the activity is. You have to get your body furnace hot before you begin to burn calories, and therefore fat. Walking and jogging are the simplest ways to burn fat. Vigorous exercise turns up the flame even more. The key is to increase your heart rate, which in turn burns calories in your body. One enjoyable and effective way to burn fat is by playing various sports. Basketball is one of the most vigorously active sports you can participate, so it’s consequently a super way to burn away unwanted pounds. The intensity of the competition will dictate how effective of a fat burner basketball is. Here’s how it works, plus some different levels of intensity that make basketball an increasingly effective way to burn fat. The physiological reasons behind why basketball is such an effective fat burning sport are directly related to exercise. Basketball is a game where you have to move around from one spot to another. Sometimes these movements are at a slow to moderate pace, strategic types of moves to position yourself for a shot or to defend one. However, the largest percentage of the movements you’ll make playing basketball involve running, often at full speed. Because basketball involves so much running and jumping, it requires exertion that raises your heart rate, even when played at a moderate pace. A full court competitive basketball game is one of the most effective fat burning sports you can play. You can even burn calories shooting simple foul shots, even if you shoot alone. Practicing free throws with a partner does limit the fat burning effectiveness, but it’s still a moderate way to burn a little fat. Shooting by yourself, however, means you have to chase down errant shots and that will help increase your intensity. Layups begin to add the element of running to your basketball workout. The more intense your layup drills, the hotter you’ll make your internal fat burning machine. Full court layups raise this level even higher, making this practice drill extremely effective as a fat burner. There are other drills designed to improve your skills as a basketball player, and they will raise your heart rate as well. However, the best way to burn fat while playing basketball is to play any of three different levels of game situations. There are three types of game situations in basketball that are extremely effective burning fat. All are competitive, but they don’t necessarily require a great deal of actual basketball skill to enjoy. Of course, the better you play, the more enjoyment and the more productive a player you’ll be. However, to burn fat all you need to do is play the best you can. Here are the three levels of game play you can use to employ basketball as an effective fat burning workout. This is a way to get out on the basketball court, even if you only have another partner to play with you. One-on-one basketball is not only a great way to develop isolated offensive skills, but a super way to improve your man-on-man defense. While you do not benefit from the exertion required to run full court, one-on-one is a game-like situation that requires a lot of physical effort. It is one type of basketball game that is an excellent way to burn fat. There are a lot of situations, especially for older basketball players, where the pounding of running full-court isn’t healthy. In these types of circumstances, you can enjoy the intensity of playing basketball, but only use half the court. There are half-court leagues, plus this is one way to produce a game-like situation if all you have is a single basket. Driveway and playground courts are perfect intense half-court basketball games. This is the way most basketball games are played. There are a number of sports experts who feel the athletes who play organized and professional basketball to be some of the most gifted and best trained athletes in the world. Full court basketball is both challenging and physically exhausting. Watching a game on live or on television will make this point clear. There are coordinated substitutions throughout a game to help keep players fresh. Of course, the level of intensity that you experience playing a full court game will be related to game strategy. Fast breaks in basketball require players to immediately sprint from one end of the court to the other. Even a slower paced, more deliberate style of full court game, will have transitions after shots, and when the ball is stolen. Each time the ball changes hands in a full court game, all players must run to the other end. 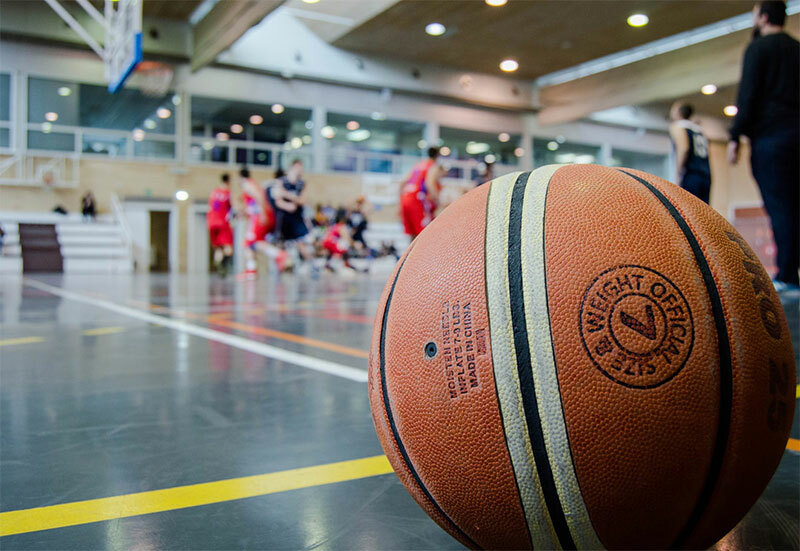 Participating in recreational leagues or playing competitive basketball are both tremendous ways to burn calories. 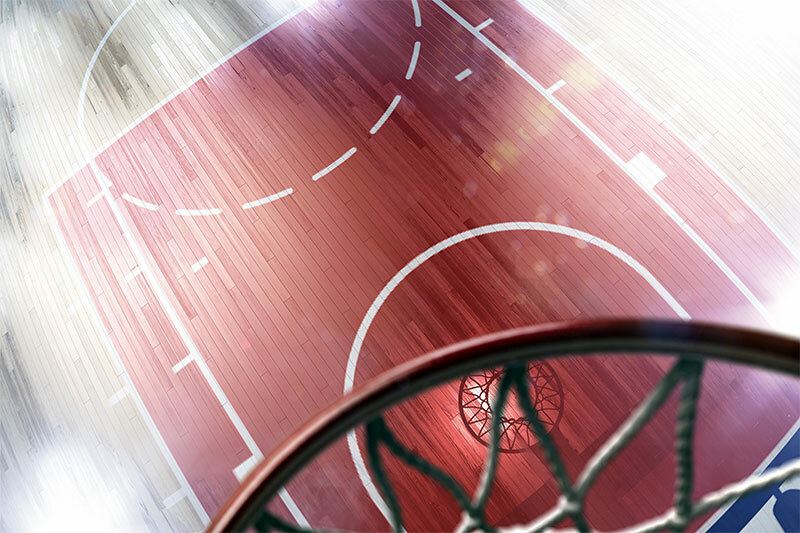 Even shooting baskets for fun is a low-impact type of activity that will burn fat. When you take part in basketball games, you increase your heart rate and gain aerobic benefits for your fitness pursuits. The bottom line is, basketball is one of the most effective sports to help you burn away fat. People all around the world, no matter their race, gender, or reasonable age, are finding the distinct benefits present from a weightlifting lifestyle. Weightlifting, particularly lifting in a compound fashion with the use of free-weight barbells, is perhaps one of the most restorative training plans one can embark on. In fact, there’s a solid difference between training and exercise. While exercise is something committed to in order to stay in shape, training through a functional sport such as this aims at a result, either growth, functional strength, or a combination between the two. Much has been written about weightlifting, and many people have their own foundational knowledge of it. But unfortunately, sometimes the myths surrounding weightlifting can lead people in the wrong direction, and prevent them from starting their weightlifting efforts off correctly. Thankfully, if you are reading this, you have made the correct search in order to ensure you do things right. That means you have an innate drive to perform well, and that will see you through in the best manner possible. While many will often try to sell you on the longform purchases you need to make in order to get started weightlifting, you actually need very little from an equipment perspective. First, you need access to information. The Starting Strength manual is quite cheap for a digestible piece of exercise literature, and the Stronglifts 5×5 program and exploration can be found for free online. Reading this from cover to cover and once more for good measure should help you understand the vital necessity of weightlifting, and the fundamental methods of building strength in the best manner. From there, all you need is a clean, comfortable set of t-shirts, shorts or stretching tracksuit bottoms. 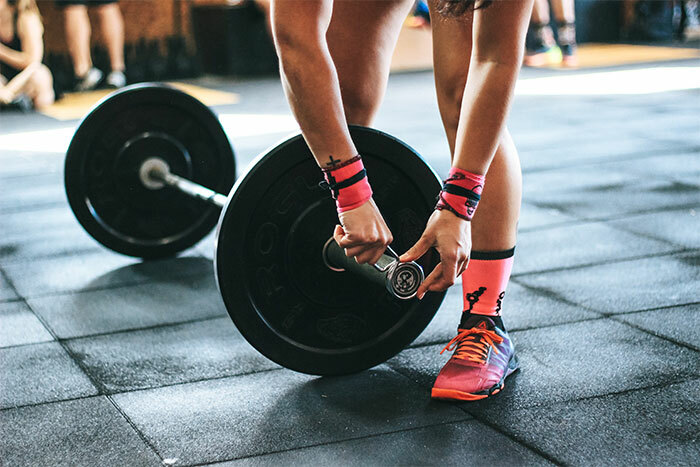 The main purchase you will be best off making is that of weightlifting shoes, which have solid and sturdy soles to help you create a stable formed base when completing a compound movement such as a deadlift. This helps your ergonomic lifting efforts, thus contributing to your overall safety and the form you can achieve. A simple bag of chalk can and should also be used to help you grip a barbell appropriately. Ask your gym if you can use this on the barbells, provided you clean up afterwards. If they say yes, fantastic. If not, it’s best to change gyms. You will need to pay attention to your diet heavily when on any weightlifting program. They often say that strength is 20% built in the gym, and 80% built in the kitchen. The two measures of weightlifting, ‘bulking’ and ‘cutting,’ denote two forms of dietary intake. When in the ‘bulking stage,’ high protein is considered essential, as is eating at least 500 calories over your daily caloric maintenance. This will help you grow well, and for your muscles to form correctly. There is no such thing as ‘toning’ or ‘converting fat into muscle,’ so you will put on fat during this process. This is where the ‘cutting stage’ comes in, where you try to cut the fat from your body through high protein and another 500 caloric deficit. If achieved while lifting, your muscle mass should stay maintained. This can help you gain and lose weight in the most healthy, sustainable, and measured manner. But it’s also essential to consider what supplements you’ll be using. For example, 1 gram of protein per pound of bodyweight is often a good metric, and sometimes you may wish to increase that to 1.5grams per pound. It can be hard to get that through your diet, and so purchasing super supplements such as whey protein, or Branched Chain Amino Acids (BCAA’s, the building blocks of muscle development,) can help you gain the most positive results, and to build both strength and muscle sustainably and in the healthiest, most cost-effective manner possible. If you wish to indulge in the helpers, you might also utilize a pre-workout to keep you active and interested each day, particularly if you work out hard early in the morning. Sleep is essential. It’s often important to get eight hours as a minimum if conducting a heavy training pattern such as this, but this is hardly the end of the story. Sometimes, weightlifters need more, in order to ensure their muscles are well-taken care of and the overall scope of their ability is heightened. Sometimes opting for nine hours can help, but be sure to listen to what your body needs, experiment, and see which has the best impact on performance as you continue. With these tips, you’ll start your weightlifting program off correctly.